Fionna Duncan - How Can You Face Me? 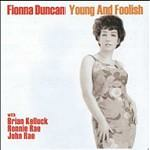 Buy and Download > Description Fionna Duncan - How Can You Face Me? Fionna Duncan - How Can You Face Me? From "Young And Foolish" 3'41"